Profile Five Independent profiles with 9 program modes for each surgeon profile. 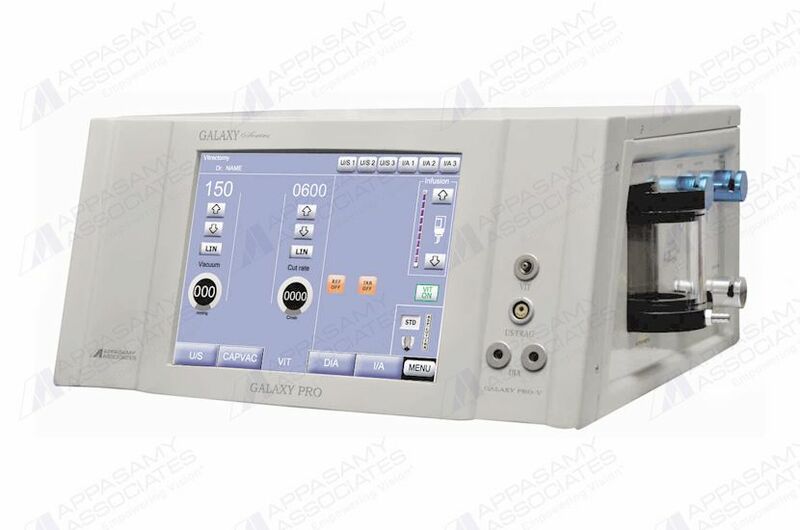 Operating Modes U/S 1, U/S 2, U/S 3, I/A 1, I/A 2, I/A 3, CAPVAC, Vitrectomy, Diathermy. Phacoemulsification Frequency 40KHz, with the Effective slim lightweight hand piece. Video overlay function parameters enabled on surgical video in all the modes. Footswitch Mode increment, Decrement, Continuous Irrigation & reflux button.